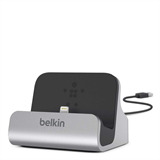 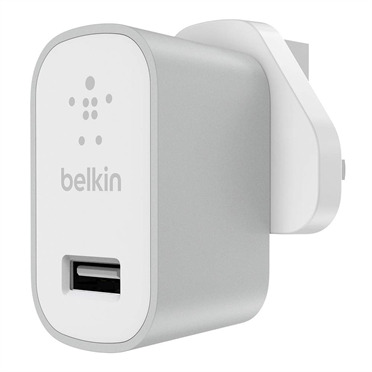 Charge and sync your Lightning connector iPhone, iPod, or iPad with the compact and stylish Belkin Charge + Sync Dock. The Belkin Charge + Sync Dock has a built-in Lightning connector, so you can dock your Lightning compatible devices to charge and sync, hands-free. 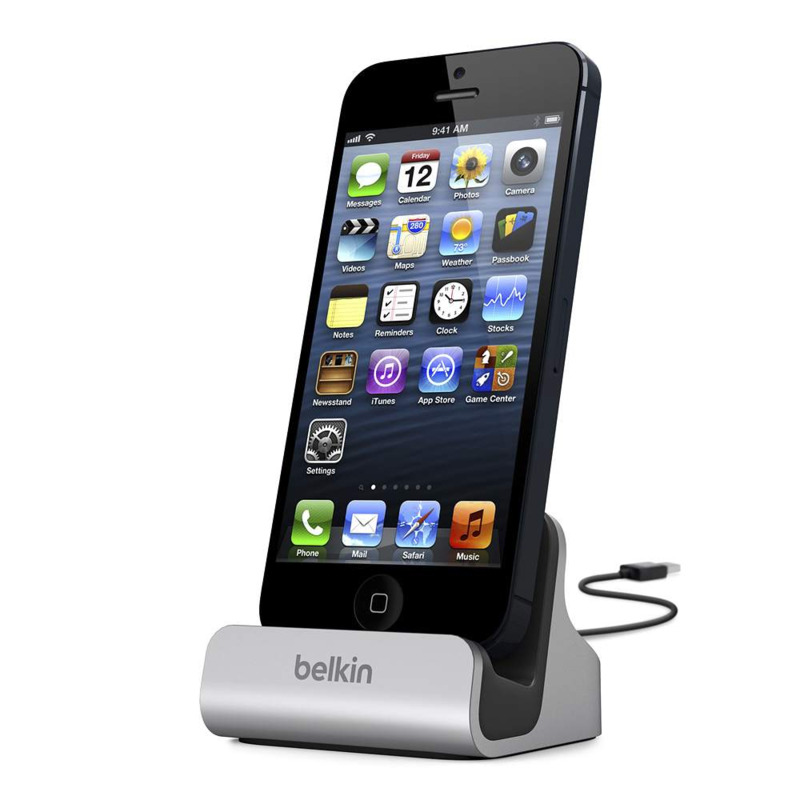 If your speakers, Lightning connector and AUX port are fully exposed when your case is on, you should be able to easily dock your iPhone without removing the case. 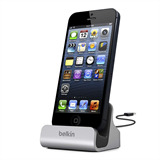 For best results, remove your case before you dock.